It wasn’t long ago that people, talent, investors, and companies were leaving Tampa in droves to find better opportunity elsewhere. All that has changed. In recent years, the city has refocused its growth and economic development strategy and reorganized to begin restructuring and rebuilding the city…and the new strategy is working. The Tampa Bay area is shifting into high gear redefining itself as more than just another city on the west coast of Florida that is not Miami and Orlando. Tampa is coming into its own, staking its claim on the map and not only positioning itself as a world class living, working, and playing destination but actually becoming one with its own culture, identity, and energy. Exciting new live/work/play mixed use projects are breaking ground and there are now over $13 billion in nonresidential and multifamily projects expected to be in the pipeline by 2022, according to Dodge Data & Analytics forecasts and the Urban Land Institute. A new waterfront is emerging, huge investments are being made by public and private entities, and even a new rail line has been proposed to connect Tampa with Orlando–and potentially Disney World–not only making the city a bigger draw for tourism but also for corporate headquarters seeking hubs that offer connectivity, affordability, talent, and a higher quality of life. The excitement for the city doesn’t only live on our streets. People, companies, and investors from around the country are also taking note. The city’s population is growing at a clip of about 50,000 people per year, we have positive job growth lead by professional and medical office-based industries, and unemployment continues at record lows. Former hedge-fund goliath and owner of the Tampa Bay Lightning, Jeff Vinik, and Bill Gates are betting billions on Tampa’s future through Strategic Property Partners Inc., a group founded by Vinik and Gates. Strategic Property Partners is the developer of Water Street Tampa, a $3 billion, 50-acre project in downtown Tampa that will transform the city’s landscape. 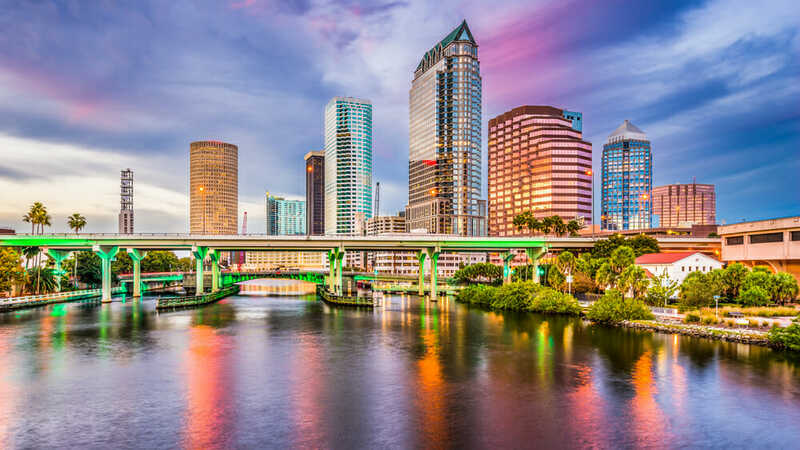 Tampa has just begun tapping into its potential and 2019 will be a pivotal year for office property owners and investors. Whether you are buying or selling, what you do or don’t do in 2019 will have an impact on your portfolio for the next few years. At the macro level, the projected industry, employment, and economic growth for the Tampa Bay area are promising indicators for the medical and professional office market across the board. The city of Tampa is experiencing momentum and there is a dynamic new energy in the city that is fueling excitement and bringing in new investments, people, and companies to the area. At the micro and individual investor level, as the market and inventory grows, new opportunities for gain and growth are shifting and emerging. Now is the time for you to review your portfolio and property holdings to evaluate where you stand, the changes in value your property has experienced, the remaining potential upside, and/or if it is time to sell or trade your property. Many existing property owners will find their office property has increased in value, potentially hitting a relative peak, and may want to sell it and exchange for a property with greater upside potential. A market report with a broker opinion of value will help you determine your position and consult on the right short and long-term strategy for your investment property and/or portfolio. This is an Excerpt from the 2018/2019 Tampa Office Market Report by John Milsaps, SVN. For an in-depth analysis of the market and office property values, developed specifically with office property owners in mind, request your copy of the report at: John.Milsaps@SVN.com. Though John has a broad understanding of the entire commercial market, he specializes in both professional office and healthcare real estate. As Senior Advisor, he approaches each business transaction with a unique combination of marketing, technology, and sales to ensure success and ease from start to finish. This is really nice marketing for yourself. Look forward to receiving your medical report/update! Try to attend the San Diego ccim conference in October.